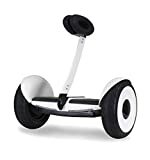 Fit with an 800W motor and a premium 3A rapid charger, the Solowheel glide 3 is a new and innovate way to travel around our world. It’s essentially a motorized unicycle which can speed up to 18 mph. It comes in a compact shape that can be opened out to create a beautiful and powerful piece of technology. The glide 3 is the perfect balance of performance, power, style and price point, something you can’t often find in electric unicycles. Considering the low price point of this electronic equipment, it still possesses some great features and has amazing capabilities. Don’t worry about carrying it around either, it has a super handy retractable luggage handle so you can pick it up wherever you are without hassle. Another cool added extra is the LED lights on both sides of the wheel meaning you really can have a party in the dark, perhaps even a disco! When comparing it to other models that have recently released, this tops them all. It also has a full one-year warranty which includes the battery pack. The Solowheel glide 3 has many great features, and the overall build of it means it performs really well, no matter who is controlling it. Some tweaks could be made but adding all the elements up, it’s evident that this electric unicycle has so much to offer. Below is a list of some of the key features that allow this model to stand out from the others and make it unique. The compact and glossy black design is the perfect body for this unicycle. The lightweight design of it allows the user to pick it up using the handle whenever they want. Remember, the handle is retractable, so you can effectively manage it without worrying you can’t carry it. Similarly, you can use the integrated luggage handle, this allows you to pull the whole system rather than picking it up, this is a perfect solution for anyone who tends to have back pain. It’s also great if you like aesthetically pleasing designs as it looks and feels amazing too. It’s also waterproof so despite being electric, you can still ride during the wetter weather. It also has LED lights on either side of the body, these rings can be customized using the Solowheel app. Change up the light speed and create a beautiful light show through the touch of some buttons, it’s a nice feature that most users will make the most of! This model has one wheel with a tire size is 16 inches with a pressure of 40-60 PSI. They’re made from a trustworthy and reliable material so you can be sure your ride won’t be interrupted at all. The wheels are classically black and very functional, so there is no need to worry about having to claim your warranty. It’s so important for the wheels to be secure and safe as they’re essentially what keeps you on the machine without falling off. Having bad quality wheels may mean you must sacrifice your physical health. Ensure your tire is always pumped up and ready to go so you can ride around for hours. If you look after the tire when you have the Solowheel Glide, then you’re going to have a fun and exciting time riding it around. It’s a lightweight system coming in at 30lbs is definitely life-changing, this weight means you can practically carry it anywhere without worrying that it will be heavy. It’s also slimline and elegant since it has a slim waistline that is unique to the design. 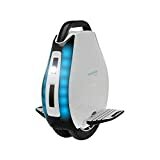 Unlike most other wheels where the batteries are stored on opposite sides of the motor, this Solowheel Glide 3 has a unique arch shape over the engine to ensure it stays perfectly in line. The slimness is impressive, it’s only 3.8 inches in width which is beyond any expectations we have for it. It’s well beyond the technology we have now, and it’s been acclaimed by reviewers as revolutionary. in terms of weight, there is a rider weight maximum that is essential to keep in mind if you’re wanting to buy this product. The maximum weight is 240lbs, although you could ride this if you’re over this weight, it’s not recommended for the best ride. This weight is higher than average too which is a huge advantage. Since this model is lightweight, you can expect it to be small (or at least in width rather than height). While it’s compact and perfect for traveling, it’s not too small that you don’t feel like it’s worth the price. The size is larger than average when the pedals are out, and you’re ready to ride, but the size rapidly decreases when you’re wanting to pack it away. This is one of the biggest advantages of this model, it’s unlike any other glide or wheel you’ve ever experienced. Plus, you can take it anywhere with you – if you want to pack it in your suitcase when you’re going on vacation – you can do! Get to where you wish to be, almost 3 times faster than if you were to walk with the Solowheel Glide 3 model. 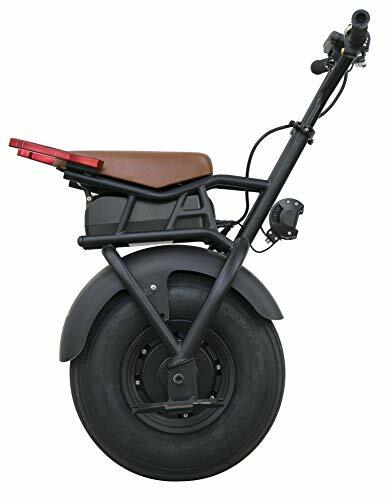 It has a cruising speed of 18 MPH which is impressive if you’re wanting to smooth ride on an electric unicycle, this model is a perfect choice. It has an inbuilt technology that allows your ride to be enjoyable and fun while also safe and fast. There are very few worries. While there are many question answers we wouldn’t be able to tell you, this one is something we feel passionate about. The suitability of the Solowheel Glide 3 reaches further than one age range or gender. Anyone can have fun on it, no matter what you typically love to do – this is an ideal toy and piece of technology you’re sure to love. 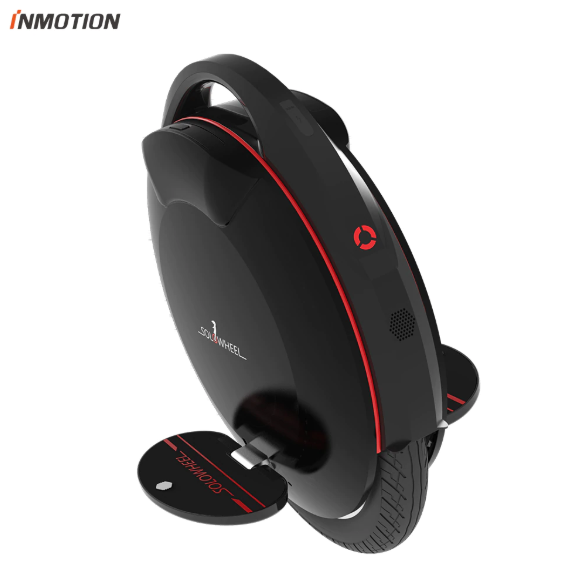 It’s suitable for almost everyone, there are some health warnings on the packaging that you should be aware of, those with heart conditions or those who are pregnant are advised not to ride the Solowheel Glide 3. However, other than the weight limit (which all electric unicycles have! ), the sky is the limit with this model. Please ensure you do read the instructions to be sure it’s suitable to ride if you have any special requirements, while there are only a minority of people who can’t ride it, it’s always worth checking to ensure you’re safe to get on it. Unfortunately, if you fall under the minority of people, you won’t be able to ride it. We would recommend looking for another eWheels product that may suit your needs more though! Why wouldn’t we like it? There are so many amazing features and extra elements. The power, speed, and overall design of the Solowheel Glide 3 are impressive and we couldn’t recommend it enough.